In the sidelines of the visit to Brussels opportunity of implementation of 13 joint projects were discussed relating to the development of infrastructures in Armenia, construction of water reservoirs, implementation of reforms in energy, judicial-legal and other sectors, Armenia’s Prime Minister Nikol Pashinyan told the reporters at a press conference on Tuesday. “These thirteen projects relate to the development of infrastructures, implementation of a big project of construction of water reservoirs,” he said, adding that it is about construction of about 20 new water reservoirs which naturally needs a certain timeframe. “We have registered in the EU that we are absolutely ready to cooperate in the sidelines of the reforms’ agenda, and the highest leadership of the EU expressed readiness to assist in the implementation of the programs,” the PM said, adding that some issue though have raised. 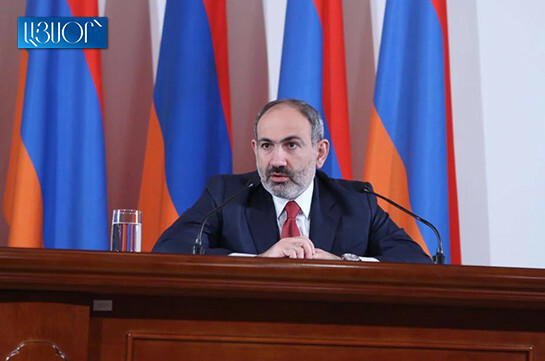 “The EU says we are ready to seriously assist in the implementation of the programs but it is clear for all that it will not fund these projects completely, and Armenia must have its share too which though creates certain issues regarding the limitations existing in the law on state debt, according to which, our state debt must not exceed certain percentage of the country’s GDP,” the PM said, adding that the mechanisms proposed by the EU is the following: we are ready to give you part as a grant and expect Armenia’s investment too. “The most visible sources for our investments are foreign sources which supposes growth of the state debt and the issue is whether we are ready to choose this way or not,” Pashinyan said, adding that the issue needs to be seriously discussed with the Central Bank and experts. 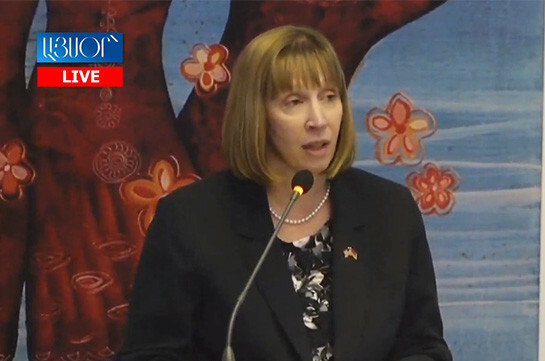 “During the past one year the role of women in Armenia and their activeness have noticeably raised. Last year’s non-violent revolution would not have become a reality without mass participation of women in it. The women’s role was really a turning point and I hope their role will be as much significant in the economic revolution as well,” the head of the government said. Prosperous Armenia faction lawmaker Mikael Melkumyan said that the faction is for thorough discussion of the issue, but their faction will not participate in them, adding that Gagik Tsarukyan is not a shareholder in this issue. They are particularly complaining of amendments in the Tax legislation according to which those selling each second car as a donation will be taxed by 20%.